Looking for some great dog stocking stuffers? Bark Busters Home Dog Training offers these that you will pawsitively love! ‘Tis the season for holiday shopping! Don’t forget to spoil one of the most important members of your family - your DOG! ● Garnet Hill – Whimsical felt stockings, with a special bone-inspired design for your dog! ● L.L. Bean – Cotton needlepoint stockings, dog-sledding, a snowman with puppies! ● Cost Plus World Market – Linen and some Faux fur for your furry friend? ● Orvis – Breed-specific needlepoint stockings. ● Shutterfly – Upload a great picture of your dog so Santa’s sure to know whose it is! Now comes the best part… filling your stockings! Here are some pawsitively great stocking stuffers sure to be a hit with your dog, and with you! Virtually every dog loves toys! The GameGhanger will keep your pet engaged for hours! Simply open up the two durable non-toxic PBA-free polyurethane sides (easy for humans but challenging for dogs) and fill with your dog's favorite kibble or tiny treats. He will be happily occupied working out how to make the GameChanger® spill out the treats. This toy is also a great way to satisfy your dog’s natural desire to chew and may help with boredom and/or separation anxiety. Proudly made in the USA, it’s a “must-have” at $29.99. Available in four vibrant colors. (also available through Amazon). This Bark Busters washable leash is made from soft cotton. It’s a high-quality lead with a generous hand loop, heavy duty stitching, and tough metal clip. What would you pay for a tool that will help your dog walk calmly by your side? These leashes range from $12 to $28 and are available in black, red, and blue. Is going for a walk like playing tug-of-war? Does your dog pull you all around when he’s on his leash? This innovative communication harness uses a “flick and release” action that gets your dog’s attention so he knows he want him to walk gently by your side. A bargain at $34.99. Is your dog naughty or nice? or somewhere in between? Whether you are welcoming a snuggly puppy into your household this holiday season, or have an adult dog that struggles with behavior issues, Bark Busters can help! With more than 1M dogs trained, we partner with you to address aggression, barking, biting, chewing, jumping, separation anxiety and more. A gift certificate with a Bark Busters master dog trainer and behavioral therapist is a gift that keeps on giving! Find a trainer near you to learn more about options and prices. 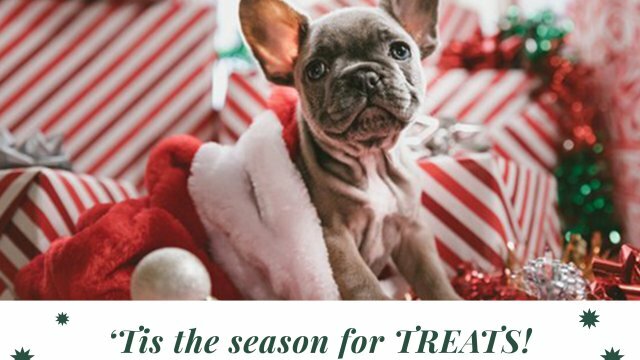 Keep your dog safe over the holidays, and year-round! The WaggTagg is a revolutionary pet identification tag that uses QR technology - no chipping or special equipment needed. If your lost dog is found, the finder simply scans the tag with his/her cell phone and receives your contact information. Only $9.99 with no subscription fees (or free with any lesson booked!). Bark Busters wants you to unleash your inner joy this holiday season!